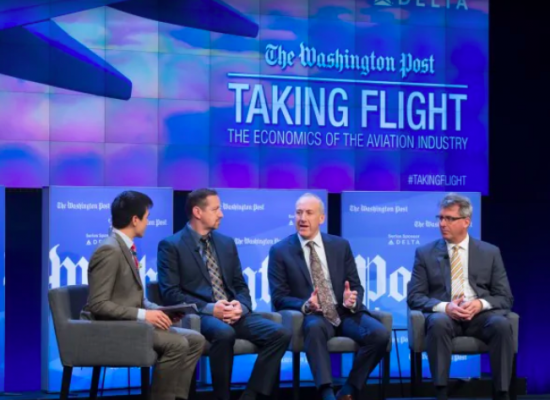 Innovation and trade – what is the future of aviation? A decorated combat veteran, Dr. Canders combines a degree from the U.S. Naval Academy, 7 1/2 years as a Naval Officer and helicopter rescue pilot and another 8 1/2 years in Air Force service after 9/11, with both an MBA and PhD (in Applied Management and Decision Sciences) and more than 20 years as a business leader in senior leadership positions in high-technology corporations on Long Island. 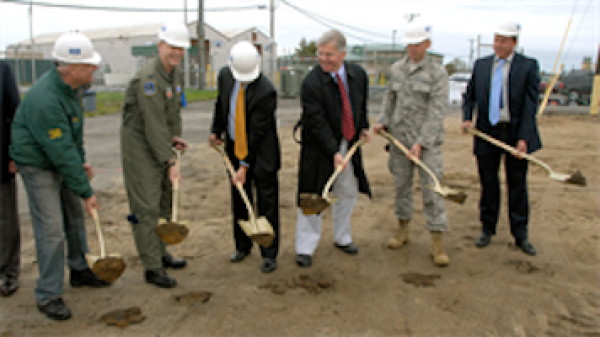 Shortly after the September 11 attacks, Dr. Canders left a position as a vice president at global electronics manufacturer Telephonics Corporation to return to full-time service in the U.S. military, first as Wing Commander of the 106th Rescue Wing of the NY Air National Guard in Westhampton, NY, and then as Base Commander and top leader of U.S. Air Force 447th Expeditionary Group in Baghdad, Iraq. Before his return to full-time military service, Dr. Canders spent 17 years in senior leadership positions in electronics manufacturing on Long Island. After his return to civilian life, Dr. Canders returned to Telephonics as President of the $221M Communications and Electronics Systems Division. He left his corporate career for teaching positions, first at St. Joseph's College and now at Farmingdale. Among other achievements, he served as a technical consultant and flew in the film, "The Perfect Storm." 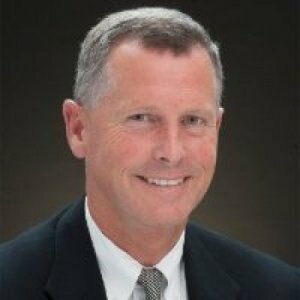 Dr. Canders is an FAA-certified airline transport pilot (ATP), commercial helicopter pilot, remote (drone) pilot and airplane multiengine flight instructor (MEI). He is a former military instructor pilot and flight examiner, with 47 lives saved as a rescue pilot. He has been awarded the Legion of Merit, Bronze Star, Air Medal, Humanitarian Service Medal, Iraq Campaign Medal and 19 other decorations. He is on the Board of Directors of the School Business Partnership of Long Island and serves on a Military Advisory Committee for First Data Corporation. 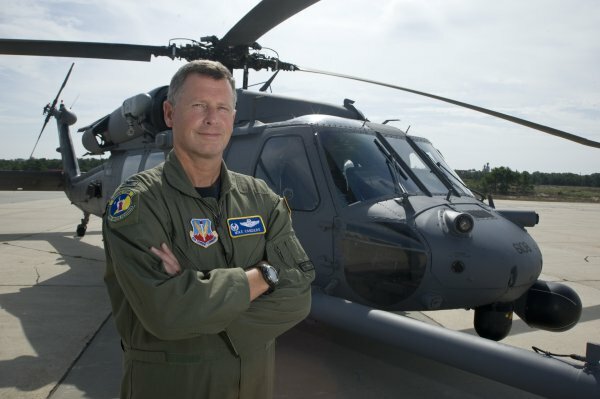 Colonel Canders, a former naval aviator before leaving the Navy for service in the Air Force Reserve and New York Air National Guard, served in the Persian Gulf and Turkey during the 1990s, and took part in combat search and rescue missions in Iraq in 2003. He left his civilian career in 2002 to become a full-time Guardsman and commander of the 106th. In 2005 he led the 106th Rescue Wing to New Orleans, where its crews rescued 161 stranded citizens following Hurricane Katrina. 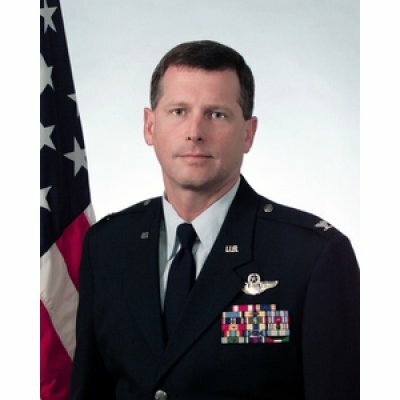 His decorations include the Meritorious Service Medal, the Air Medal, the Aerial Achievement Medal with Oak Leaf cluster, the Humanitarian Service Medal, the Air Force Commendation Medal with 5 Oak Leaf Clusters, the Southwest Asia Service Medal and the Kuwait Liberation Medal.Colonel Canders is a graduate of Hofstra University, where he earned an MBA, and from Walden University in Minnesota, where he earned a PhD in management. His next assignment will be command of the 447th Air Expeditionary Group, at Sather base outside of Baghdad, Iraq. HANCOCK FIELD AIR NATIONAL GUARD BASE, NY (08/13/2009)-- Col. Thomas Owens II, vice commander of the New York Air National Guard's 174th Fighter Wing, has been selected as the new commander of the 106th Rescue Wing, based at Gabreski Airport Air National Guard Base on Long Island. He will replace Col. Michael Canders, who has commanded the wing since 2002. A study of the operational considerations and procedures of air carrier flight operations. 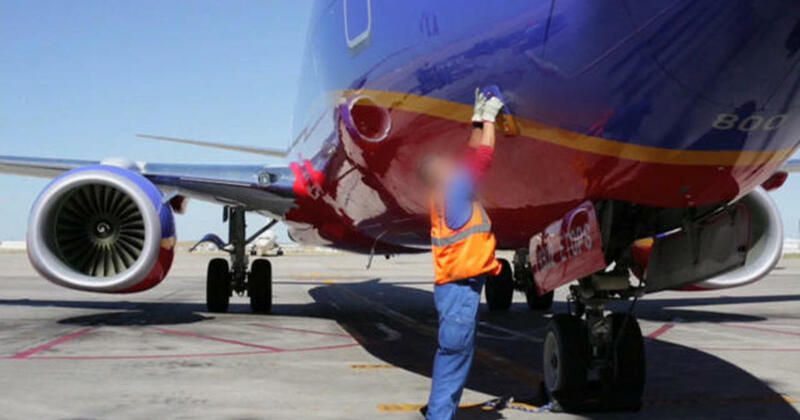 Flight Operations conducted under 14CFR121 (Part121 air carriers) are highlighted. Also included are 14CFR135 (Part135) Air Carriers, supplemental air carriers and Operators of Large Aircraft flight operations. The Capstone Pro Pilot Seminar will be the culminating Upper Division experience in flight education for the Professional Pilot program. 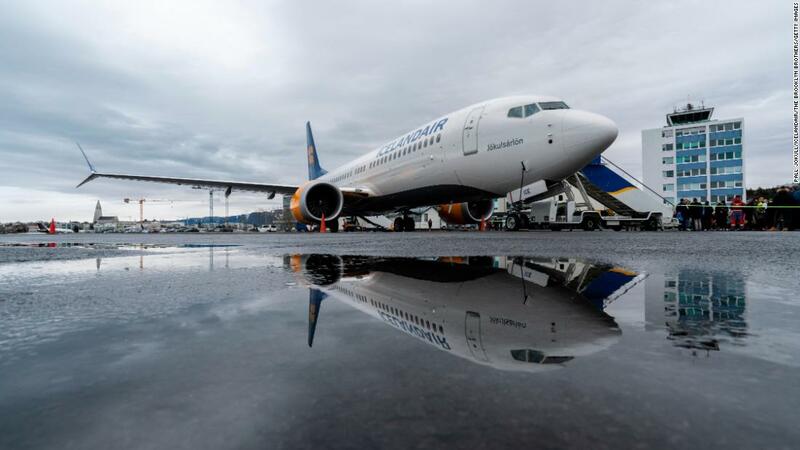 The seminar will require students to examine key aviation concepts presented in the Pro Pilot track and connect key learning objectives associated with these concepts to the skills necessary for success in the aviation industry as a pilot. Selected subject areas will include but not be limited to aviation safety, aviation law, crew resource management, safety ethics, physiology of flight, and aviation meteorology and how these relate to the requirements to be a certificated instrument-rated commercial pilot and fly as a certified flight instructor or a multiengine airplane pilot. Students will be required to complete comprehensive case studies of aviation accidents, present results to the seminar participants and lead the case discussion. Safety of Flight is an essential course for students to understand the principles and regulatory practices of commercial aviation safety in the United States and worldwide community in the 21st century. It includes an examination of aircraft accidents, the respective roles of the FAA and NTSB, human factors in aviation safety, air traffic safety systems, and introduction to Safety Management Systems (SMS). The student will obtain the necessary safety of flight knowledge to be able to effectively work in the aviation industry. Aviation Law develops the student's knowledge to the application level of learning by emphasis on real cases to demonstrate the legal, regulatory and government theory previously discussed in AVN 101and AVN 300. Emphasis will be on the FAA's roles in regulating aviation including the rule making process, certification of airmen, medical certification and enforcement.